Avant Garde is proud to introduce their all new creation, the Avant Garde M368, and now in Audi fitment. This wheel is of course low pressure cast and comes in a custom gunmetal with machined face finish. Avant Garde created these M368 wheels from the ground up, designing a completely new style of wheel. 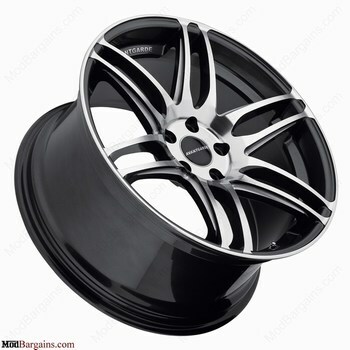 Be the first to put some of these NEW Avant Garde M368 Wheels on your Audi. These Avant Garde M368 Wheels are guaranteed flawless straight from the factory! With perfect fitment and evenly coated finish. They are low pressure cast, increasing the quality and decreasing the weight when compared to gravity cast wheels. The Avant Garde M368 Wheels are also stronger with a higher load rating than most other low pressure cast wheels on the market today. These Avant Garde M368 Wheels comes with a standard 1 year warranty on the finish.